It’s a widely-accepted truth that Salesforce forever changed the world of enterprise software. With its cloud-based delivery eliminated downloads and installs, it quickly became a Software-as-a-Service pioneer. Revolutionary for its time, Salesforce’s CRM was always on and available from anywhere, and its configuration-based development made it easily accessible to people who weren’t technical experts. Thanks to this forward-thinking model, Salesforce is now one of the most popular pieces of enterprise software—and it inspires its users to think futuristically, too. Today, companies around the world are using automation to push the boundaries of what Salesforce can do. Their use cases save time, save money, and help human employees work more creatively. Because many of these workflows are behind-the-scenes, however, you might not know they exist unless someone tells you. In that spirit, here are seven of the coolest, most productivity-boosting Salesforce automations from the world’s top organizations—including Box, Slack, and Puppet! Slack is the most popular workstream collaboration tool on the market today, so it’s no surprise that the Slack team uses their own platform internally. Because their sales team works at such a fast pace, they wanted to use automation to bring as much work into the chat platform as possible. While it’s relatively easy to complete simple tasks (like updating leads) from Slack, the team also wanted to execute human-based approval workflows like price adjustments. A group of managers must approve all of these requests, so they wanted to be able to easily approve or reject without logging into Salesforce or flooding their email inboxes with request notifications. 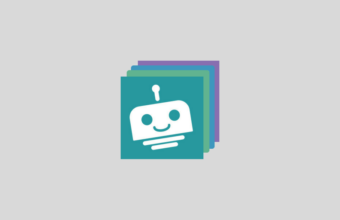 Workbot for Slack—a chatbot Workato created to allow users to do work in other apps—was the only bot for the job, as its feature Verified User Access ensures that only the managers who are authorized to approve or reject these requests have the ability to do so. Verified User Access allows you to take actions inside of other apps from Slack (in this case, Salesforce) but requires that you authenticate by signing into your Salesforce account so that it can check if you have clearance. Now a sales rep can request certain deal terms in Salesforce from Slack. Workbot puts those deal terms into the correct Salesforce account and triggers a price request, which goes to a specific Slack channel. A manager clicks “approve” or “reject,” and Workato uses Verified User Access to make sure the person who is acting is qualified to take this action. This ensures that sensitive activities are only executed by the correct people! When Box, the popular online file sharing and content management service for businesses, started their new Partner Program, they immediately experienced an overwhelming number of applicants. Julien Bassan, the Senior Manager of the Business Development team was suddenly slammed with new partners to onboard, which was a tedious and time-consuming process. They quickly determined that they needed to integrate Marketo and Salesforce with the Box platform. To do this, Box chose Workato, which took their 12-step onboarding process down to only 4. The process begins with a Marketo form to collect new applications; Workato allows them to automatically move the applicant information into Salesforce as accounts, contacts, and opportunities. Bassan can accept or reject an application right from Salesforce by changing its status from pending to “accepted” or “unaccepted.” Changing a lead’s status triggers the next Workato recipe. “When I change their status, it kicks off a follow-up email to the partner via Workato. If they are not accepted, we send an email asking for more information; if they are accepted, then Workato automatically creates a Box folder for the partner and adds the partner as a collaborator. This folder has all the information materials for new partners, and they can also upload their sales collateral,” explains Bassan. Previously, it took Box roughly five hours to onboard a new partner because of all the manual data transferring and one-on-one communication. Now they can bring a partner onboard in less than an hour! At Rapid7, a leading provider of analytics solutions for security and IT operations, creating an excellent customer experience is a top priority. 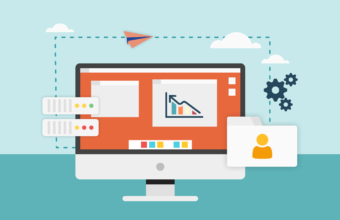 To offer the best service possible, the company’s Customer Success Management (CSM) team always prepares extensively before contacting a customer. This prep work includes researching and compiling customer information from Salesforce and other apps like NetSuite. Initially, the CSM team spent seven to eight hours every week doing this research—a full day of work! To make the process more efficient, Rapid7 implemented a customized CSM bot that will pull key customer information from other apps and serve it to agents in Slack. In addition to delivering the file via Slack, the automation will also save the PDF to a shared drive for easy access later. By automating the research process, the CSM team can focus on vetting deals and providing a better customer experience! As a software company, Puppet relies on professional engineers to deliver services at client sites. Some of these engineers are full-time Puppet employees; others are outside contractors. Regardless of their title, these engineers rely on transparent, accessible scheduling to let them know when they need to visit clients or work on projects. Puppet uses a Professional Services Automation (PSA) tool to create these schedules in a Salesforce event format. But most engineers don’t use Salesforce frequently, making it inconvenient to check their schedules inside the app. Additionally, the Salesforce events didn’t offer all of the functionality that Puppet wanted in a scheduling tool. John Athitakis, a Salesforce administrator at the company, knew he needed to find a way to integrate the PSA tool with the engineers’ Google Calendars. “We wanted to create a unified reality for them,” he says. Athitakis explains that, while there are many plug-ins available to sync Google Calendar to Salesforce, there aren’t many tools for syncing events in the opposite direction. “Going the other way is tricky. The tools have all sorts of limitations,” he continues. As with any company, putting lead information into Salesforce is a business-critical process for Venn Technology, a Dallas consulting firm specializing in Salesforce implementation. “When it comes to using a CRM, you have to work with the fact that sales professionals are quite busy so it can be difficult for them to consistently enter the relevant data into Salesforce,” says Scott Hollrah, Managing Partner at the firm. As a solution, the firm built a workflow that uses Workbot to seamlessly log crucial information in Salesforce with minimal effort. Every five minutes, Workbot checks every sales rep’s calendar to see whether a meeting is about to end. If a sales rep is currently in a meeting that is about to wrap up, Workbot sends the rep a Slack notification reminding them that their meeting is ending. If the calendar event was sent to an email address that doesn’t correspond to an existing Salesforce contact, the Slack notification will prompt the rep to create a contact for that person. The notification also features a “Create” button that sales reps can click to create new Salesforce contacts without leaving the chat console. When the rep hits “Create,” Workbot will query FullContact a contact management and enrichment solution, based on the new contact’s email address. Workbot will then serve any relevant information about the new contact back to the rep in Slack. If it identifies the company the email is associated with, you can create a new organization or update the organization with the click of a button. From there, Workbot will continue to guide the rep through seamlessly logging the contact with information FullContact found. It will serve information it finds for the contact, such as their job title or role; the rep can choose to log this data in Salesforce as-is or they can edit it. Overall, this workflow means that Venn Technology logs 100% of its lead data in Salesforce—a 60% improvement! Laureate International Universities is a network of campus-based and online universities spanning 20 countries and offering undergraduate and graduate degree programs to over one million students worldwide. In order to effectively engage with prospective students, Laureate International Universities uses a variety of apps (such as NeuStar and Marketo) to enrich and score leads. But these leads must then be checked to make sure that they are properly formatted before they are synced to Salesforce—without flattening too much data or using complex Apex code. With Workato, Laureate can automatically execute a series of look-ups in Salesforce, which is Laureate’s system of record, for data standardization for things like program and degree information. “Overall, when leads land in Marketo, there are a lot of real-time calls that we make out to Workato to ensure that the leads are properly prepared for a sync over to Salesforce and it’s done as fast as possible,” says Jay Sturgis, the consultant who created this automated workflow. Okay, maybe we’re flattering ourselves a bit, but we use some pretty awesome Salesforce automations here at Workato. When a lead signs up for our platform, for example, we want to reach out to them within five minutes. In order to make this feasible, we need to assign leads to the sales team based on individual availability and geography. To do this, we created a series of automated lead management workflows that connect Salesforce (our CRM) with Slack (which we use for all internal communication) via a chatbot called LeadBot. Reps interact with LeadBot through a Slack DM, where they can set their status as “Accepting Leads” or “Not Accepting Leads.” When they are ready to start contacting leads, they can click “Accepting Leads,” and Leadbot will deliver new inbound leads to them. If they go to lunch or are finished working, they can select “Not Accepting Leads,” and no new leads will be assigned to them. As soon as they set their status to active, however, LeadBot will assign them leads again. This gives us a simple way to make sure that only available reps are assigned leads to reach out to. It also means that leads are less likely to fall through the cracks because they are only ever assigned to reps who are ready to reach out at that moment. And it gives reps an easy way to manage their workload; if they’re busy with other tasks, they can simply set their LeadBot status to inactive until they are ready to accept more inbound leads! Sometimes, SDRs need more information about a lead in order to reach out. To better enrich leads, we also created ResearchBot, which works similarly to LeadBot. Instead of pulling new inbound leads into Slack, it delivers leads that need enrichment. Researchers—such as our sales interns—can set themselves to “Accepting Leads” or “Not Accepting Leads” based on their workload and schedule.